Telocytes (TCs) are typically defined as cells with telopodes by their ultrastructural features. Their presence was reported in various organs, however little is known about their presence in human trigeminal ganglion. 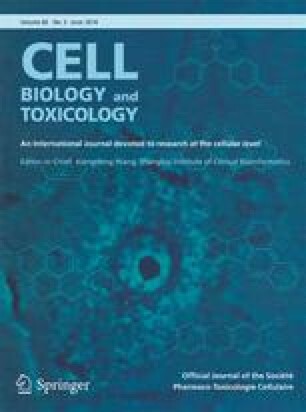 To address this issue, samples of trigeminal ganglia were tested by immunocytochemistry for CD34 and examined by transmission electron microscopy (TEM). We found that TCs are CD34 positive and form networks within the ganglion in close vicinity to microvessels and nerve fibers around the neuronal–glial units (NGUs). TEM examination confirmed the existence of spindle-shaped and bipolar TCs with one or two telopodes measuring between 15 to 53 μm. We propose that TCs are cells with stemness capacity which might contribute in regeneration and repair processes by: modulation of the stem cell activity or by acting as progenitors of other cells present in the normal tissue. In addition, further studies are needed to establish if they might influence the neuronal circuits. Mugurel Constantin Rusu and Dragos Cretoiu contributed equally to this work. This work was partially supported by grants of the Romanian National Authority for Scientific Research, CNCS—UEFISCDI, project numbers 82/2012 and 194/2014. The authers declare that they have no conflicts of interest.